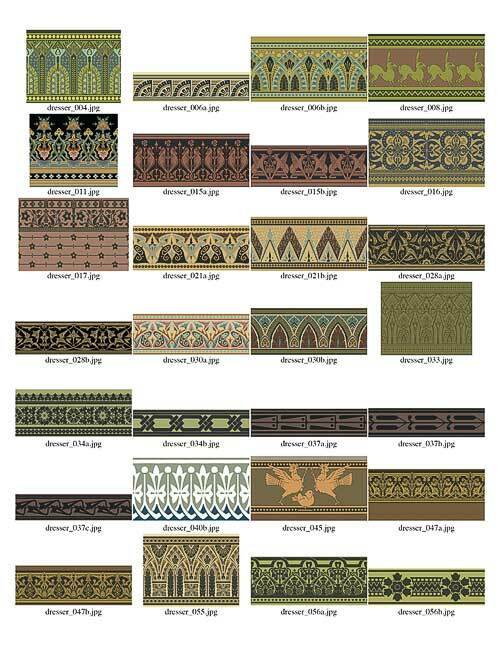 These are the 28 linear border patterns from Studies in Design by Christopter Dresser (1834-1904). The plates were “hand” traced in Adobe Illustrator CS3 (as opposed to using “Live Trace”) and converted to pattern brushes that can be used with Illustrator CS and above (and possibly 8.0 and above). The colors are close to the original, though the plates were faded, thus colors are probably somewhat muted, compared to the original. 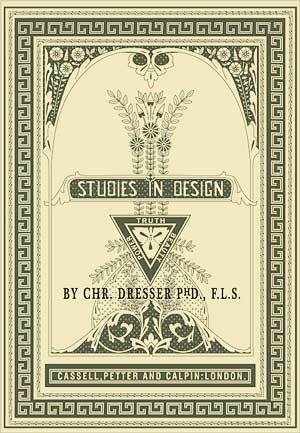 These designs are representative of the Aesthetic through the early Art Deco styles. Dresser’s use of botanical and fantastical animal forms dominate this collection–many are detailed and highly decorative. These brushes are customizable (see below) so experiment with different border combinations and colorways. Visit http://www.AtelierCascadiaGraphics.com/illustrator_editing_colors for additional tips for colorizing brushes and explore other posts for additional Illustrator techniques. Posst questions and/or comments at this website.